Sting has published two books. 'Broken Music', his memoir published in 2003, spent 13 weeks on the New York Times Best Sellers list. 'Lyrics', published in 2007, is a collection of lyrics spanning his career. An accomplished author, Sting also enjoys reading a diverse range of books, from fiction to nonfiction, historical to contemporary literature. Leave a comment below telling us about your favorite book and why would you recommend it to Sting? One of my favorite books is "Bel Canto" by Ann Patchett. One of the themes of the book is how powerful music can be, even in the most difficult of circumstances. It is about a hostage situation, an opera singer, a linguist, and even Stockholm syndrome. I think you would enjoy reading this book. And then, just for fun, a mystery/thriller called "The Good Guy" by Dean Koontz. It is good for the airplane, or when you want something entertaining. A real page turner with surprising plot twists. yes, i suggest "broken music 2" ,if you read it ,my dear Sting; i will be able to read it too!! Me and the whole Sting universe fans,want to know the most popular part of your life! ps. you should read something about Erma Bombeck, she's absolutly so sensitive and she can go staight to your heart. A fascinating study on the development of literacy against that of the image and the effect on our culture, creativity and inter relationships. Finishes with some interesting thoughts on the future too. I thought it was rather amusing that the first written law, some 3000 odd yrs ago, stated something to the effect that women shall not denounce the male ... such was their priority! ;) Check out the web-site: www.alphabetvsgoddess.com Pilgrim - Chris J Dean (Canterbury Tales)! My pick is a series. By Louis L'Amour Any book written by this man is worth reading..but especially the ones dealing with a family called The Sacketts. They begin as a family from England,living in a marshy area called The Fens during the 1600's. Later, many of them end up in the U.S., some in search of the vast open land they had heard of,and some, to escape a Queens warrant! Much of his writings, including those of "Sacketts" center around the old American West. No one captures the spirit of early American Western culture like L'Amour!! :) His stories are filled with history, and people with a strength of character and goodness so seldom seen. His themes include- legends of pride and honor, sacraficing for those you love,betrayal, and courage. L'Amour published over ninety novels, and twenty-six short story collections. There are over 270 million of his books in print! The reason for this is simple, his beautiful talent with honest words, and good story telling that while straightforward..still makes you think. You wont be able to put them down!! This book (original "Das Herzenhören") by Jan-Philipp Sendker is about a boy in Burma whose reaction to abandonment by his mother is: He gets blind. With loosing one of the senses and the help of people who love him, he learns to find inner strengh, discovers the world of sound and eventually that he can also hear the heartbeat of living beings. Years later in New York, his adult daughter Julia is looking for him since he has disapeared one day without leaving a note. Her mother gives her a loveletter he wrote to a unknown Burmese woman and Julia decides to fly to Burma where she learns the tender, touching story of her father. I had a exraordinary, wonderful time reading this book! The narrator and his plane makes emergency landing in the middle of the Sahara, "a thousand miles from any inhabited area away". Then he meets a strange boy, who tells him that he was a prince of a small star With "The Little Prince", leaving Antoine de Saint-Exupery, a magical and wonderfully narrated story. The tale tells of the greatest goods of the earth: friendship, honesty and humanity. As well as innocence and discovery. It further stimulates to dream to and inspired the imagination. The universe - no, life - is a charming place, especially in common with the little Prince. First edition 1943, New York who has not read it at school, should make up for it necessarily. An astonishing book from the master, Orson Scott Card. It makes us understand why we do, and why we don't, comprehend just exactly what is intelligent life. I recommend this book from Farid Ud-Din Attar because I know Sting has the key to understand about Sufism and inner truth. Love! This is my favorite book ever. It is biography of Michelangelo Buanarotti by Irving Stone. I'd recommend Sting read Andy Summers' book One Train Later. Well written and a good read too. 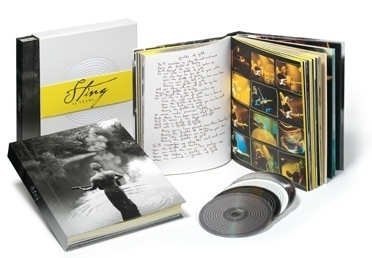 Hope we get a second volume of memoirs one day from you Sting! Hopefully with a an audio version too. Forget the film and Mel Gibson! This lovely story by Colleen McCullough (Thorne Birds, First Man In Rome, Magnificent Obsession)is touching from beginning to end. When a financially secure spinster helps a mentally challenged young man, a friendship developes and it leads to a very different kind of love that saves them both from life of loneliness. Keep a hankie at hand when you read this book. This 1953 novel by Alejo Carpentier translated from the Spanish is a book I read in my youth and it moved me even though its complexity overreached my complete understanding. It is a book of a journey of many levels, and of the many subjects involved, music and the Indigineous South American culture are two. It is on my bedside table to reread and rediscover. It is difficult to choose only one book, so I will add Snow Country by Yasnuari Kawabata an early favourite of mine and one that deals with the concept of mono no aware. I realise that Sting may very well know these works, but such are my choices. Cheers. A book that makes you think. Hi there my book isn't as profound as most of these books, but it makes you really wonder what your faithful companion thinks. My book is : The Art of Racing in the Rain By: Garth Stein It's a wonderful book. Dearest Sting, as an alien abductee married to a famous astrologer, I have read many mystical texts. I would recommend the "Ringing Cedars of Russia" series by Vladimir Megre, about his encounters with a Siberian mystic named Anastasia. This is a non-fiction series that has sold over 20 million copies in 20 languages. "Anastasia" is the first of a set of nine books. They are life-changing. She has wisdom on how to live simply, grow your own food programmed to heal you, raise children, empower societies, etc. She is a Vedic Russian, with all of the siddhis. She can teleport, and she remote views and helps people all over the wold. She claims that being in nature, or Pristine Origins, is how she cultivated her skills. She also comments on extraterrestrials, veganism, and much more. You would be inspired to write a song about her! Also, Happy Birthday! See you in Phoenix the day after my birthday! Life in India is depicted through the vulnerability of several unforgettable characters. It engenders empathy and a sense of gratitude. By Rohinton Mistry, this remains in my mind after 10 years. NF would be "Guns, Germs and Steel." (I have many more.) Thanks for "Broken Music", a favorite read this summer! I have this poster hanging in my school office! A great way to encourage reading and easy on the eyes as well! My fave is a book written by my friend, Sharon Shinn, entitled "Archangel"....I've always thought that if, made into a movie, Sting would have been the perfect singing angel to play the lead role. I read Mika Waltari`s Sinuhe the Egyptian when I was only 19 years old. Since then I have read many books that have affected me. Sinuhe is after all a book that I can`t forget. It`s about life... Maybe there are too many pages, but after all it`s a book that is worth reading. I highly recommend this book from Pablo Neruda, "Confieso que he vivido - Memorias" (I confess that I lived - Memories). I am sure it must have been translated, and it is the autobiography of the author, until near the time of his death. It is an incredible interesting and almost enviable life, which told by this Nobel Prize in Literature, makes you understand that he enjoyed of every little moment in his life, as very few humans could do. I would not recommend my favorite book to Sting. A good recommender is like a talented matchmaker, seeking to choose a good fit for the recommendee rather than extol their own idiosyncratic treasures. My favorite book is Goedel, Escher, Bach: The Eternal Golden Braid. Booksellers and librarians never know where to categorize this book, because the book excels in music, art, mathematics, philosophy, linguistics, and artificial intelligence. It interweaves the topics together in the lives, thoughts, and creations of three brilliant men. Sting's deep intellect is a very different flavor than this book. Diane Ackerman has a knack for writing lyrically about non-fiction topics. In this book she describes in decidedly painful terms the journey that she and her husband make as he recovers from a disastrous stroke that causes global aphasia. Reading this book one can feel her terror as she considers all that she and her fiction-writing husband have lost. She unfolds the course of his recovery of language as well as her own emotional recovery. This is a gorgeously written book about love that continues to grow throughout the loss of a fundamentally human characteristic and recovery. I think Sting would enjoy "Life of Pi" by Yann Martel. Yann is a Canadian writer. You can take Life of Pi on the surface as hilarious but definitely Sting would dig deeper for the religious meaning! from Alexandre Soljenitsyne is my favourite book, an exceptional book which I read several times.."..it's not the standart of living which makes the happiness of people, but indeed the connection of hearts and our point of view on our life.Now both of them are always in our power and people is always happy if he wants and noone can prevent it.."
I recommend "Lamb: The Gospel According to Biff, Christ's Childhood Pal" by Christopher Moore. It is intelligent and hilarious. There is one book that I call "my favorite", it is Karleen Koen's [Through a Glass Darkly]. It is set in Victorian Era England and encompasses all the beauty, hatred, love, whimsy and forbidden desires of the time. It is a rather intimidating book for most but I also share a love for James Joyce and know that my dear Sting could excel at its challenge. As a historian I deem it technically superb, as a woman with desires of my own - it is utterly perfect. Although I'm sure Sting has read it, I would recommend 'Our Mutual Friend' by Charles Dickens. I was reading this at a strange time in my life and finished it while staying in a bunk house on a horse ranch one evening. I was laughing and crying, not something many books can make me do so easily, but Dickens made it happen. I would like to recommend a children's book The Invention of Hugo Cabret. The book is over 500 pages but more than half are illustrations drawn by the Caldecott winner Author Brian Selznick. It is a very unique format that tells a story that weaves an orphan, magic, clocks, a paris train station, and the silent movie creator Georges Melies into an unforgettable tale. The illustrations are very much a part of the story and are viewed like an old silent film. Very creative and intriguing. http://community.sting.com/index.php?/topic/7189-the-first-book-that-you-fell-in-love-with/ This is one of the top 10 "non- Sting" threads in the past year. Dave and Wendy even got in on it. : ) One of my favorites besides the one I mentioned in that discussion is The Snow Leopard by Peter Matthiessen. He makes a pilgrimage to Nepal to search for the ever elusive snow leopard while dealing with the loss of his wife to cancer. Having always appreciated the transcendent quality and spiritual undertones of Sting's music, I would recommend " The Ragamuffin Gospel" by Brennan Manning. This book effectively cuts through man made religious nonsense and illustrates a sincere and clear treatise of the genuine heart of the matter. In a totally non preachy and non judgmental manner, Brennan shares his expanding and broadening understandings which challenge and invigorate both the heart and mind. My personal best read ever. Sting, read books by Michael Ende! This German author wrote Jim Button and Lukas the Engine Driver, Momo and The Neverending Story. They mix fanstasy und philosophy with a twist. I love them to death. Recommendation for a German classic is anything by Erich Kästner;-)Goethe and Schiller you probably read at college so that's too obviuos! Otherwise I always have been inspired by your choices of books! "The Art of Racing in the Rain" by Garth Stein It's about the life of a race car driver, the struggles he faced through the loss of his wife and to gain custody of his daughter. The unique part of the story is that it's told from the perspective of his dog. It really has little to do with racing. I think it's a great story for anyone who loves dogs. I think Sting would enjoy "April Blood: Florence and the Plot Against the Medici" by Lauro Martines. It's a history of 15th century Florence and the rivalry between the Pazzis and the Medici's. I think it would appeal to his sense of history and would also be fascinating to him because of his links to Florence and Tuscany. I would recommend "Revolution In The Head" by Ian McDonald: a captivating and very entertaining explanation of the Beatles songs' musical and cultural relevance. The book also surprised me and got me thinking with its very convincing argument why the sixties' "counterculture" is in fact not responsible for the negative, individualistic / disconnected aspects of today's society at all. Also, I would recommend "Island" by Aldous Huxley, just because I would recommend that to absolutely everyone who hasn't read it yet. But I'm quite sure that Sting must have read that one. Today on Day 17 of our countdown, we have an autographed copy of The Soul Cages to giveaway to our lucky winner. 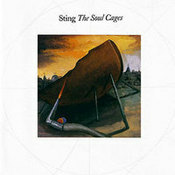 Many fans tell us that The Soul Cages is their favourite Sting album - a mix of enduring songs, Northern folklore and the sound of Kathryn Tickell's signature Northumbrian Pipes seem to combine to provide a truly unforgettable album. 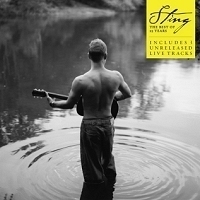 Now is your chance to win a copy of the album signed by Sting!